Various boards, groups, and committees help support and manage the services and operations at Our Savior Lutheran Church. All Church members are encouraged to help others in the Church and within our community. The Voters’ Assembly is the governing body of Our Savior Lutheran Church. The Assembly meets six times annually on the 3rd Tuesday of January, March, May, July, September, and November at 7:00 pm at the Church. Any additional special Assembly meetings are held as announced. Communicant members, 18 year old or older, are eligible to become voting members. To become a voting member attend a Voters’ Assembly meeting and indicate your desire to be a voting member. At the following Assembly meeting, you will be granted voting privileges. For matters concerning the Voters’ Assembly, contact Mr. Pat McGladdery. The Church Council is elected by the Voters’ Assembly to manage the operations of the Church, within the authority and guidelines provided in the Church’s constitution. Council meetings are held on the 2nd Tuesday of each month at 7:00 pm at the Church. For matters concerning the Church Council, contact Mr. Pat McGladdery. The Board of Elders is elected by the Voters’ Assembly to assist the Pastors with spiritual issues of the Church, within the authority and guidelines provided in the Church’s constitution. Board of Elders’ meetings are held on the 1st Wednesday of each month at 7:00 pm at the Church. For matters concerning the Board of Elders, contact Mr. Steve Peterson. The Board of Education is elected by the Voters’ Assembly to assist the Principal and teachers with leadership and operations of the School, within the authority and guidelines provided in the Church’s constitution. Board of Education meetings are held on the 2nd Wednesday of each month at 7:00 pm at the School. For matters concerning the Board of Education, contact Mrs. Lisa Corder. The Board of Trustees is appointed by the president with the approval of the Church Council. Its purpose is to manage and maintain the buildings and grounds of the Church and School. The Board of Trustees meets as needed to work on maintenance projects at the Church and School. To volunteer, contact Mr. Jeff Stowe. During normal Church services, nursery services are provided in the Church library by volunteers who care for infants and the very young. To volunteer, contact Ms. Amy Benjamin, the Church secretary, at 616.949.0710. The Youth Group meets regularly for bible study and social events. 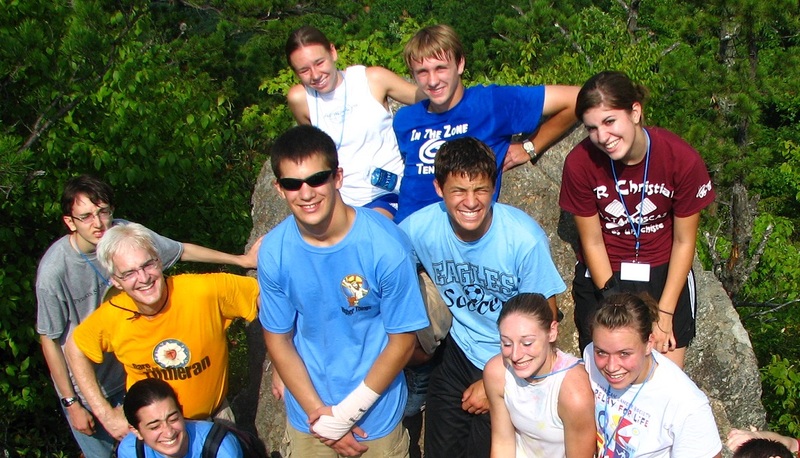 Each year the youth group attends the Higher Things national conference (for conference information click here – Dare to be Lutheran). For more information about the Youth Group, please contact Mr. Tim Peterson. Ushers are confirmed men of the congregation who assist with the orderly conduct of the Church’s services. To volunteer for one of the usher teams, contact Mr. Steve Peterson. 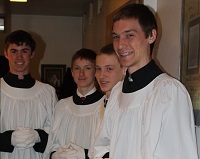 Acolytes are confirmed men of the congregation who assist the Pastors. To volunteer, contact Pastor Fleming at 616.949.0710. The Altar Guild is open to women and men of the congregation who are willing to prepare the chancel, the space around the altar in the sanctuary, for Church services. To volunteer, contact Pastor Fleming at 616.949.0710. The Health and Wellness Committee is open to women and men of the congregation. To volunteer, contact Mrs. JoAnne Iseler. The Women in Fellowship group is open to all women of the congregation. For information about this group please contact Mrs. Norma Carey. The Quilting Group is open to all members of the congregation. For information about this group please contact Mrs. Judy Kubala.